Engineers have long concluded that a wall in the flood plain of Starr County, Texas, could be catastrophic. 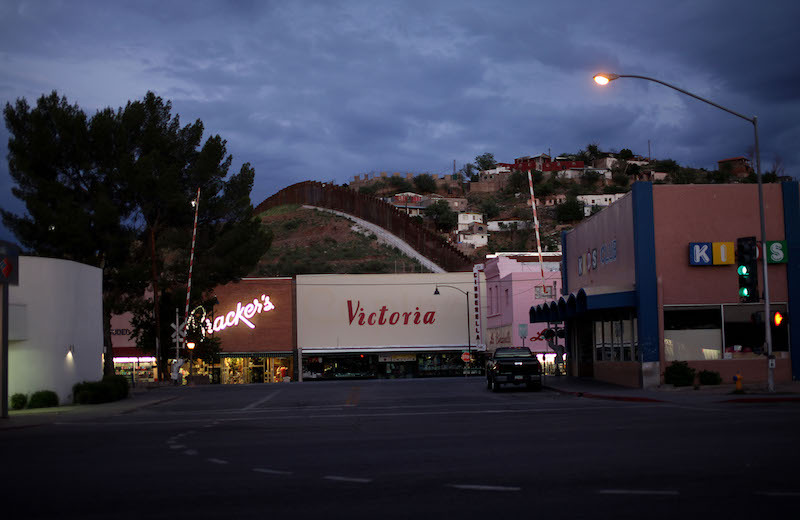 The border wall at the U.S.—Mexico border in Nogales, Arizona. The Trump Administration announced in March that it would build 100 new miles of border wall, including 33 miles in Texas. Up to 12 miles of that wall are slated to intersect a massive flood plain in Starr County, Texas. 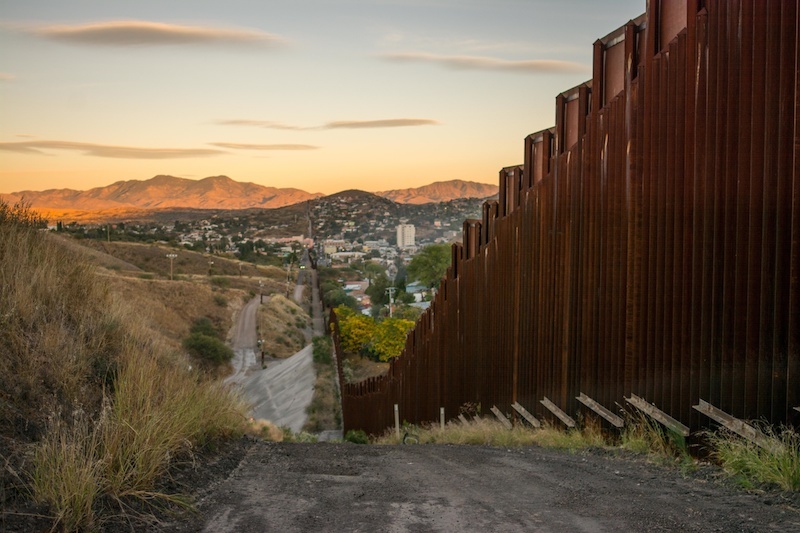 A joint US-Mexico oversight body, the International Boundary and Water Commission, must sign off on all border security construction in the flood plain. Then CBP commissioned a new study, using a new model, that found minimal flood impacts. The analysis used the improbable assumption that a border wall would be only 10 to 25 percent blocked in a flood; engineering experts say up to 100 percent is more likely. A Mexican official on the oversight body said Mexico had not signed off on the model, and remained opposed to the wall and the “unilateral” decision. “Mitigating the impacts of flooding from the U.S. side of the border is unattainable,” wrote a CBP contractor in a September 2008. View of downtown Nogales, AZ, with the border wall in the back on July 2012. For the past 129 years, through a series of evolving treaties, the International Boundary and Water Commission, a little-known but vitally important binational agency in charge of boundary demarcation, water rights, and flood control, has helped keep the peace between Mexico and the U.S. For many years, it was the only thing preventing CBP from building in the floodplain in Starr County. Listen to Melissa del Bosque discuss her reporting on WNYC’s The Takeaway and on Texas Public Radio. 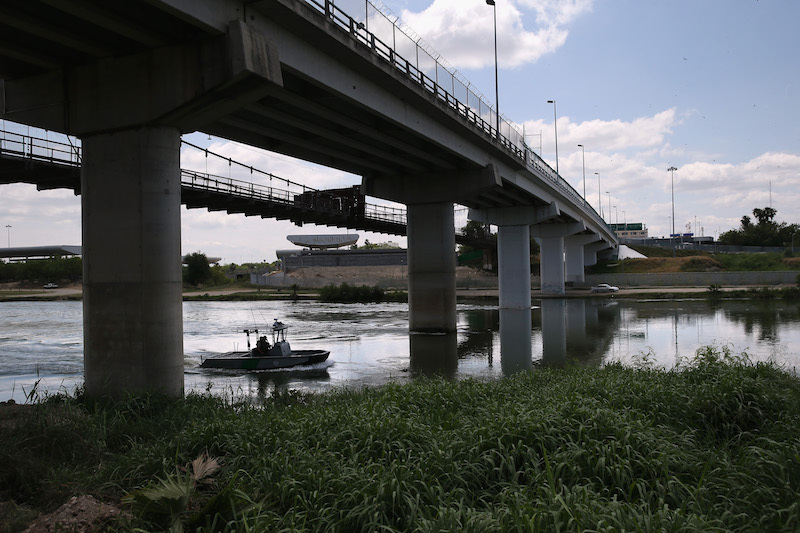 Border Patrol agents patrol the Rio Grande under the international bridge spanning the U.S.-Mexico border on April 2016 in Roma, Texas.